Jayna assists Lorna Cahill - our Archivist with the digitisation, cataloguing and promotion of the RCVS Historical Collections. 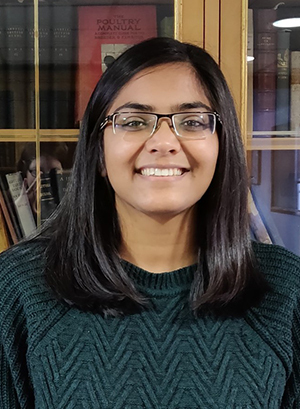 Jayna joined RCVS Knowledge in September 2018. Her previous experience includes volunteering in the archives of St. Paul's Cathedral. Jayna is in the process of obtaining a Masters in 'Archives and Records Management' from the University of Dundee.